Running socks are an important component of many runners’ clothing collections. 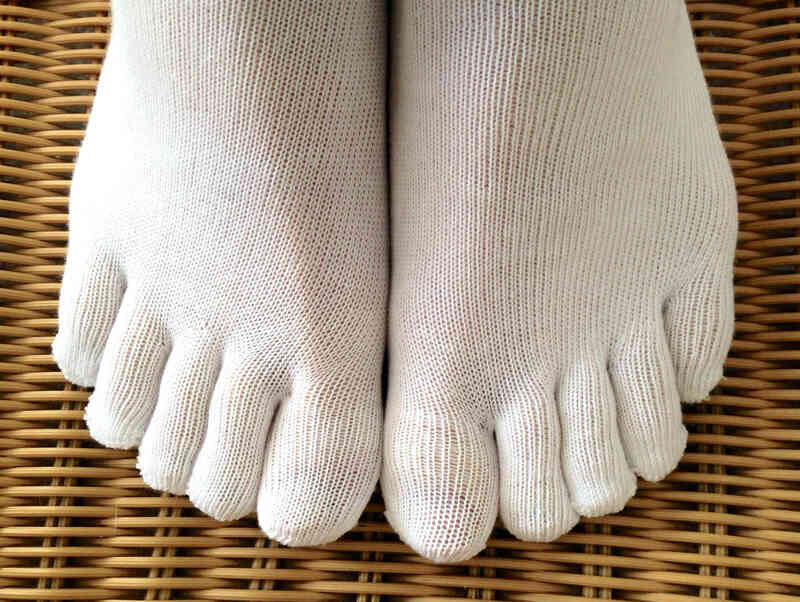 As a runner who wears barefoot shoes I use toe socks. Similar to my shoes, my socks fit snug and offer flexibility. In cold weather or if I intend to run longer than 45 minutes I wear them. I often run without them in warmer conditions, for speed workouts or when I choose a route where it is predominantly softer ground. Despite my best efforts running socks quickly become worn, and cannot easily be repaired through restitching. Also, depending on the temperatures your feet can remain numb and become sore regardless of footwear. Although the majority of the time running socks support your running there are some sensible choices you can make. Do not buy socks that are too thick as the fit of your feet in the shoes becomes too tight. 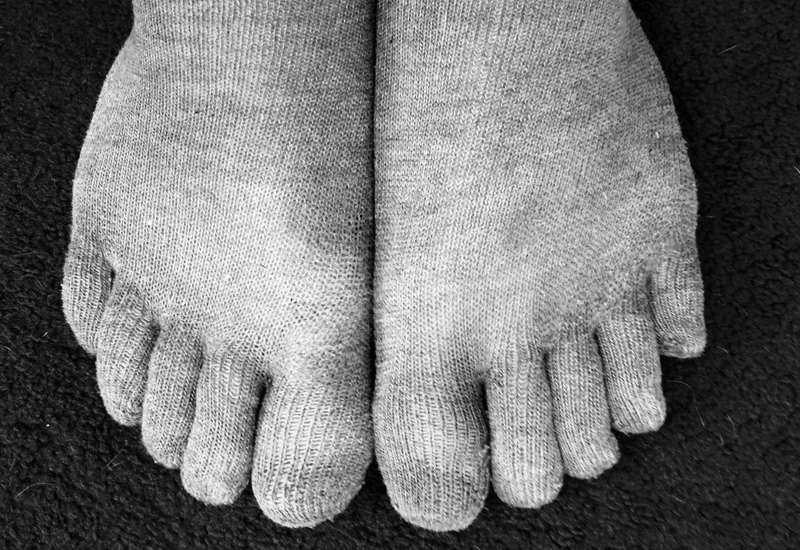 Own many pairs of socks so you can rotate them and therefore not wear them out so soon. Purchase socks that are practical rather than stylish, as expensive socks often wear out in the same time as cheaper ones.